For more reasons than I can list, trust is becoming an ever rarer commodity. Recent Gallup polling reveals only 23% of Americans trust banks, and just 19% have trust in big business. And surveys by the National Opinion Research Center show that the number of Americans who believe other people can be trusted fell 10 points in the past three decades. Knowing that trust is the essential foundation of most all professional employer organization (PEO) sales, it’s clear that we need to pay very close attention to how well we build trust. So in a world where trust is so hard to come by, how can we build trust… genuine trust? Trust is created when someone takes a risk and the other party responds. Show you’re willing to trust your prospect before you ask him or her to trust you. Our professional employer organization guarantee is perfect for this. By stating the key elements of our professional employer services guarantee, we show that we are willing to put skin in the game right up front. Also, consider what you can offer within the sales process that will demonstrate your trust in the prospect. Can you set up a demo of our payroll product? Can you supply references of clients that are similar to your prospect? When you invest in the sales process and in your prospect by doing these kinds of things, your prospect is very likely to return the trust. 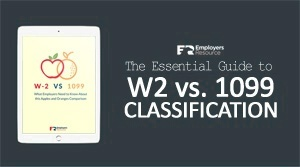 “Employers Resource is a wonderful company but the fact is we are not a fit for everyone. That said, when there is a fit, it works very, very well! We have clients that have been with us as long as 20 years that can tell you this. Too many sales people subconsciously feel the need to agree and say “yes” to everything. The fact is, saying “no” will often build more trust than saying “yes.” Think of it this way: who is more likely to say “no,” a professional employer organization sales person or a professional employer services consultant? What are prospects looking for from a professional employer organization representative? To be sold to or be consulted with? We aren’t selling cars here. 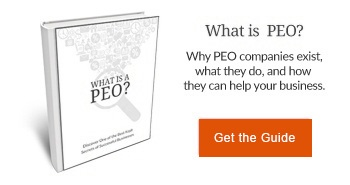 With what is a PEO service, a PEO by nature requires a consultative sales approach, and that means saying “no” when appropriate. So this is an aspect of selling on which we just can’t spend too much time. And when you consider what it is we at Employer’s Resource sell, it’s even more important that we keep a policy of trust “front and center” in everything we do.